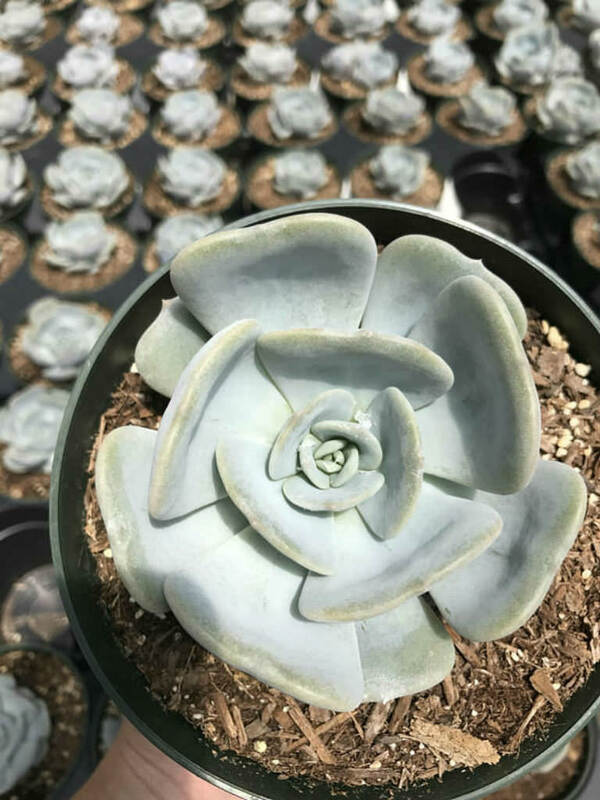 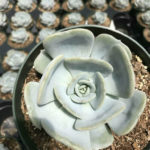 Echeveria ‘Moondust’ is a slow-growing hybrid of Echeveria laui and Echeveria lilacina. 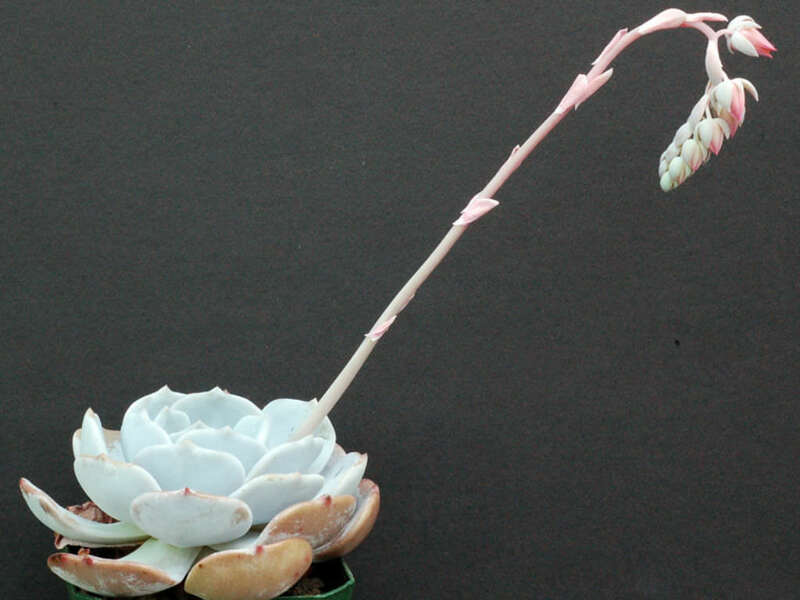 It grows up to 6 inches (15 cm) across and offsets to form a nice, tight colony. 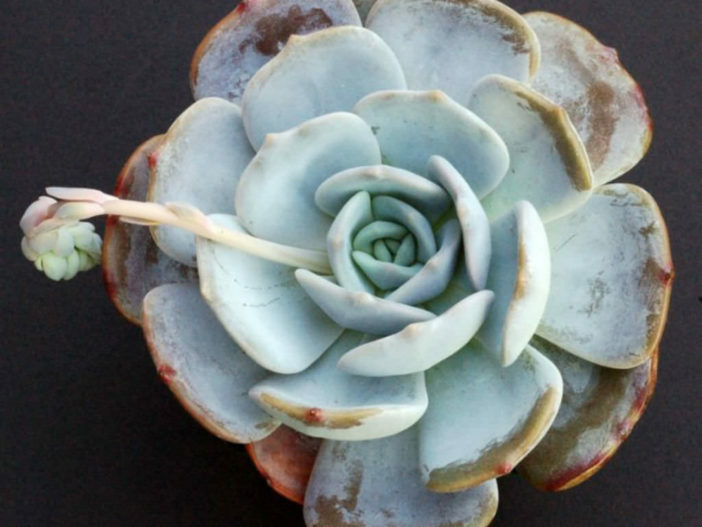 The leaves are pale and glaucous, covered with a fine waxy bloom that rubs off when touched. 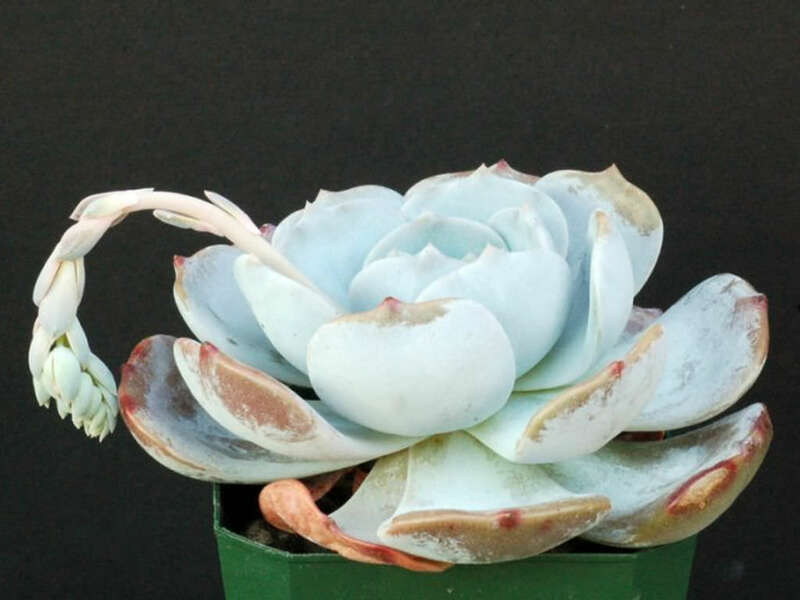 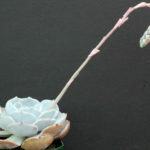 It is a Kelly Griffin hybrid between Echeveria laui and Echeveria lilacina.